The first year of Donald Trump’s White House has seen more firings, resignations, and reassignments of top staffers than any other first-year administration in modern history. His Cabinet turnover exceeds that of any other administration in the last 100 years. With the administration rapidly approaching its halfway pint—January 20, 2019—it’s time to size up its litany of casualties. Dr. Brenda Fitzgerald – Resigned as director of the Center of Disease Control after Politico reported that she had bought stock in Japan Tobacco while serving as CDC director. Omarosa Manigault-Newman – Met Trump as a contestant on “The Apprentice,” where he fired her on three different shows. She moved into the White House with him as Director of Communications for the White House Office of Public Liaison. She became disillusioned with him during 2017 and began taping her conversations with him and other government officials. When she learned she had been fired she reportedly had to be literally dragged from the White House. Tom Price – The Secretary of Health and Human Services ran up a $1 million cost to taxpayers for private planes and military jets for travel within the United States and trips to Asia, Africa and Europe. Sean Spicer – Resigned in anger after Trump chose Anthony Scaramucci as White House Communications Director. The reason: Trump kept him in the dark about events Spicer needed to know—such as an interview that Trump arranged with the New York Times—and which ended disastrously for Trump. Walter Shaub – Resigned as the director of the Office of Government Ethics in July after clashing with Trump over the President’s conflicts-of-interest vis-a-vis his financial holdings. Hope Hicks – White House Communications Director, resigned one day after testifying before the House Intelligence Committee. She claimed she had told “white lies” for Trump but hadn’t lied about anything important relating to the investigation of Russian subversion of the 2016 election. Chief of Staff Reince Priebus – Suffered repeated humiliations by Trump—such a being ordered to kill a fly that was buzzing about. On July 28, 2017, Priebus resigned. Chief of Staff John Kelly – Trump similarly ridiculed Priebus’ replacement, a former Marine Corps general. Kelly tried to limit the number of advisers who had unrestricted access to Trump—and thus bring discipline to his schedule. This had been expected for months. Reportedly, Kelly and Trump were no longer on speaking terms. Trump’s apparent first choice for Kelly’s replacement: Nick Ayers, who had served as Vice President Mike Pence’s chief of staff for more than a year. Trump pushed Ayers to commit to two years, but he declined. Ayers told Trump he had young children, and wanted to return to his home state of Georgia. He offered to temporarily serve as chief of staff, but Trump demanded a two-year commitment, and talks fell apart. Finally, Trump found a replacement for Kelly: Mick Mulvaney, who has served as director of the Office of Management and Budget. He intends to keep his position at OMB while serving as Trump’s chief of staff. The Special Counsel’s investigation of Russian subversion of the 2016 Presidential election: Robert Mueller is slowly closing the net on the highest-ranking members of the Trump administration—such as Michael Flynn and Paul Manafort. These will almost certainly lead to Trump himself. On January 3, the House of Representatives will become a Democratically-controlled body. Trump will face unprecedented opposition—and major investigations of his past and current actions. It’s likely that the House Intelligence Committee will go after his long-hidden tax returns—which may well prove his longstanding financial ties to Russian oligarchs. These events will bring increased fear and stress to those who still remain in the White House. This, in turn, will ensure increased mass firings and/or resignations from the White House. The first year of Trump’s White House has seen more firings, resignations, and reassignments of top staffers than any other first-year administration in modern history. His Cabinet turnover exceeds that of any other administration in the last 100 years. With the Trump administration rapidly approaching its halfway point—January 20, 2019—it’s time to size up its litany of casualties. This listing, however, does not tell the full story. Jeff Sessions – Fired as Attorney General because he refused to quash Special Counsel Robert S. Mueller’s probe into proven connections between Russian Intelligence agents and high-ranking members of Trump’s Presidential campaign. On the day after the November, 2018 mid-term elections, Trump fired him. James Comey – Fired as FBI Director because he refused to pledge his personal loyalty to Trump. Trump also hoped to end the FBI’s investigation of links between Russian Intelligence agents and members of his 2016 Presidential campaign. Don McGahn – Resigned as White House Counsel after repeatedly clashing with Trump about the best strategy for dealing with Mueller’s investigation. Tom Bossert – Trump’s Homeland Security Adviser, was fired by John Bolton, the new National Security Adviser. Sally Yates – Fired by Trump as Acting Attorney General for her aggressive pursuit of Michael Flynn’s treasonous contacts with Russian Intelligence officials during the 2016 Presidential campaign. She had also refused to uphold Trump’s executive order on immigration and denounced it as unlawful. Preet Bharara – Fired by Trump as United States Attorney for the Southern District of New York. Although an Obama appointee, Trump had initially asked him to stay on—and then abruptly fired him. The possible reason: He was known as one of Wall Street’s fiercest watchdogs and a widely respected prosecutor. Trump believes that corporations should be immune from their crimes—and, as President, has worked to confer such immunity upon them. Steve Bannon – Although he officially resigned, Trump fired his Fascistic chief strategist after Bannon heatedly clashed with other members of the White House. Anthony Scaramucci – Although he officially resigned, he was in fact fired by Trump at the urging of John Kelly. The reason: An obscenity-laced interview with The New Yorker, where he attacked members of the Trump administration—most notably Bannon. Scott Pruitt – Although he technically resigned as head of the Environmental Protection Agency, he was in effect fired. He was under several federal ethics investigation for lavish spending, conflicts of interests with corporate lobbyists, and enlisting his official government staffers to run personal errands. Rob Porter – The White House Staff Secretary resigned after after two of his ex-wives accused him of physical and emotional abuse. Michael Flynn – Although he officially resigned, he was in fact fired as National Security Adviser. The reason: He had discussed, with Russian Ambassador Sergey Kislyak, ending the Obama administration’s sanctions against Russia. Then he lied about it to Vice President Mike Pence. When these facts became public, Flynn was sent packing. More ominously, well-suited men roam the halls of the West Wing, carrying devices that pick up signals from phones that aren’t government-issued. “Did someone forget to put their phone away?” one of the men will ask if such a device is detected. If no one says they have a phone, the detection team start searching the room. Since taking office as President, he has bullied and insulted even White House officials and his own handpicked Cabinet officers. This has resulted in an avalanche of firings and resignations. The list is impressive—but only in a negative sense. “From this arises the question whether it is better to be loved than feared, or feared more than loved. The reply is, that one ought to be both feared and loved, but as it is difficult for the two to go together, it is much safer to be feared than loved…. It’s a warning that someone should have given President Donald Trump long ago. Not that he would have heeded it. 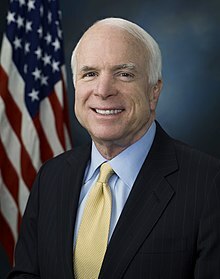 On May 10, 2018, The Hill reported that White House Special Assistant Kelly Sadler had joked derisively about Arizona United States Senator John McCain. McCain, a Navy pilot during the Vietnam war, was shot down over Hanoi on October 26, 1967, and captured. He spent five and a half years as a POW in North Vietnam—and was often brutally tortured. He wasn’t released until March 14, 1973. Recently, he had opposed the nomination of Gina Haspel as director of the CIA. The reason: In 2002, Haspel had operated a “black” CIA site in Thailand where Islamic terrorists were often waterboarded to make them talk. For John McCain, waterboarding was torture, even if it didn’t leave its victims permanently scarred and disabled. Leaked to CNN by an anonymous White House official, Sadler’s remark sparked fierce criticism—and demands for her firing. “People have wondered when decency would hit rock bottom with this administration. It happened yesterday,” said former Vice President Joe Biden. “John McCain makes America great. Father, grandfather, Navy pilot, POW hero bound by honor, an incomparable and irrepressible statesman. Those who mock such greatness only humiliate themselves and their silent accomplices,” tweeted former Massachusetts governor and 2012 Republican presidential candidate Mitt Romney. No apology has been offered by any official at the White House—including President Trump. 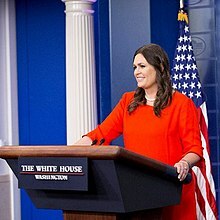 On May 11—the day after Sadler’s comment was reported—reporters asked Sanders if the tone set by Trump had caused Sadler to feel comfortable in telling such a joke. On May 14 Trump revealed his “respect” for “all Americans”—especially those working in the White House. “The so-called leaks coming out of the White House are a massive over exaggeration put out by the Fake News Media in order to make us look as bad as possible,” Trump tweeted. In a move that Joseph Stalin would have admired, Trump ordered an all-out investigation to find the joke-leaker. In January, 2018, the White House had banned the use of personal cell phones in the West Wing. The official reason: National security. When they arrive for work, deposit them in lockers installed at West Wing entrances. They can reclaim their phones when they leave. Several staffers huddle around the lockers throughout the day, checking messages they have missed. The lockers buzz and chirp constantly from 6 a.m. to 8 p.m. Monday through Friday. Stalin purged Yagoda and Yezhov, with both men executed after being arrested. Nor were these the only casualties of Stalin’s reign. The 1930s were a frightening and dangerous time to be alive in the Soviet Union. In 1934, Stalin, seeing imaginary enemies everywhere, ordered a series of purges that lasted right up to the German invasion. In 1937-38, the Red Army fell prey to Stalin’s paranoia. One hundred fifty-four out of 186 division commanders. And heading the list of those marked for death was Marshal Mikhail Tukhachevsky. Arrested on May 22, 1937, he was interrogated and tortured. 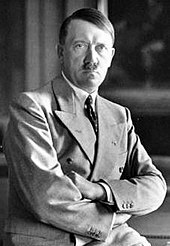 As a result, he “confessed” to being a German agent plotting to overthrow Stalin and seize power. On his confession, which survives in the archives, his bloodstains can clearly be seen. On June 11, the Soviet Supreme Court convened a special military tribunal to try Tukhachevsky and eight generals for treason. It was a sham: The accused were denied defense attorneys, and could not appeal the verdict—-which was foregone: Death. In a Russian version of poetic justice, five of the eight generals who served as Tukhachevsky’s judges were themselves later condemned and executed as traitors. Since taking office as the nation’s 45th President, Donald Trump has sought to rule by fear. “For it may be said of men in general that they are ungrateful, voluble, dissemblers, anxious to avoid danger and covetous of gain; as long as you benefit them, they are entirely yours: they offer you their blood, their goods, their life and their children, when the necessity is remote, but when it approaches, they revolt. “And the prince who has relied solely on their words, without making other preparations, is ruined; for the friendship which is gained by purchase and not through grandeur and nobility of spirit is bought but not secured, and at a pinch is not to be expended in your service. Want to report a crime to the FBI? First you’ll have to prove you deserve to even see an FBI agent. Step 1: Visit a Federal building where the FBI has a field office. To enter, you must show a driver’s license or State ID card. If your name is on the FBI’s “Ten Most Wanted” list, you won’t show it at all (let alone visit any FBI office). And if you aren’t a notorious criminal or terrorist, handing over a driver’s license or State ID card with the name “John Smith” isn’t going to tell the security guard anything relevant about you. It’s simply an invasion of your privacy in the name of security theater. Any cell phone you’re carrying. All of these must be placed in one or more large plastic containers, which are run through an x-ray scanner. Step 3: Assuming you avoid setting off any alarm system, you’re allowed to enter. Step 4: Take an elevator to the floor where the Bureau has its office and walk into a large room filled with several comfortable chairs that sit close to the floor. Step 5: Approach a window such as you find in a bank–made of thick, presumably bulletproof glass. A secretary on the opposite side greets you, and asks why you’ve come. Step 6: State your reason for wanting to speak with an agent. If the secretary thinks it’s legitimate, she requires you to show her your driver’s license or State ID card. Step 7: Slide this through a slot in the glass window. Then she makes a xerox of this and hands the card back. The reason you want to speak to an agent. Of course, you can refuse to fill out the card. But then the secretary will refuse to let you meet with an agent. So the FBI has no qualms about requiring others to give up their privacy. But its director, James B. Comey, believes the public actions of police should be hidden from citizens’ scrutiny. Addressing a forum at the University of Chicago Law School on October 23, 2015, Comey offered a series of possible reasons for the recent surge in crime rates in America. “Maybe it’s the return of violent offenders after serving jail terms. Maybe it’s cheap heroin or synthetic drugs. Maybe after we busted up the large gangs, smaller groups are now fighting for turf. Then Comey offered what he thought was the real villain behind the rise in crime: Cellphones aimed at police. “In today’s YouTube world, are officers reluctant to get out of their cars and do the work that controls violent crime? Are officers answering 911 calls but avoiding the informal contact that keeps bad guys from standing around, especially with guns? “I’ve been told about a senior police leader who urged his force to remember that their political leadership has no tolerance for a viral video. “So the suggestion, the question that has been asked of me, is whether these kinds of things are changing police behavior all over the country. Repeatedly preached to Americans that if they have nothing to hide, they should have nothing to fear from police surveillance. But according to the FBI, citizens who aim cameras at cops in public places constitute a clear and present danger. This holds true even if they don’t interfere with the ability of police to make arrests. They make heavily armed police feel so threatened that many officers are refusing to carry out their sworn duties. DROP THAT CAMERA AND COME OUT WITH YOUR HANDS UP! For decades, Americans have been told by police at local and Federal levels: If you have nothing to hide, you shouldn’t worry about giving up your privacy. The FBI, for example, has lobbied Congress for an electronic “key” that would allow it to enter a cyber “back door” to eavesdrop on even those emails protected by encryption systems. Of course, the FBI has long found ways to circumvent the efforts of criminals to remain anonymous. 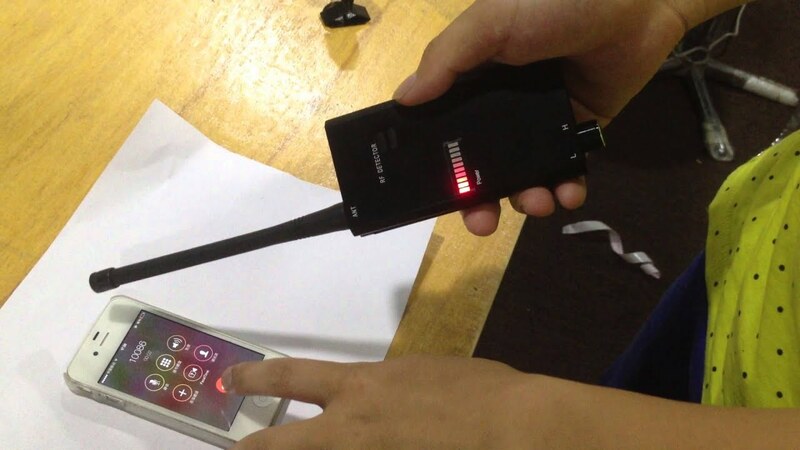 Decades ago, Mafiosi learned to assume their phones were being wiretapped and their rooms bugged with hidden microphones by agents of the FBI or the Drug Enforcement Administration (DEA). And law-abiding Americans have grown used to being under camera surveillance every time they enter a bank, a State or Federal agency, a drugstore or supermarket. Or even walking down a street. So it must seem ironic–if not downright hypocritical–to such people when police complain that their privacy is being invaded. And this “invasion” isn’t happening with taps placed on cops’ phones or bugs planted in their police stations or private homes. No, this “invasion” is happening openly in public–with video cameras and cellphones equipped with cameras. And it’s happening in direct response to a series of controversial incidents involving the use of deadly force by police. The most famous of these was the shooting, in August, 2014, of strong-arm grocery store robber Mike Brown in Ferguson, Missouri. Ironically, this was not captured on video. The shooting of Walter Scott, a black motorist, on April 4, 2015. Scott was stopped for a non-working third tail light. When North Charleston Police Officer Michael Slager returned to his patrol car, Scott exited his car and fled. Slager gave chase, firing first a Taser and then his pistol. He hit Scott five times–all from behind. Slager later claimed he had “felt threatened.” Unluckily for him, the shooting was caught on a citizen’s cellphone camera. On June 6, a grand jury indicted Slager on a charge or murder. On April 9, 2015, San Bernaradino sheriff’s deputies, after an exhaustive chase, kicked Francis Pusok twice–including a kick to the groin–as he lay facedown on the ground with his hands behind his back. About five minutes after Pusok was handcuffed, hobbled and rolled onto his side, another deputy also kicked him. Three deputies have been charged with felony assault. The footage of this came from an NBC News helicopter. In February, 2015, Orlando police officer William Escobar was fired after cell phone footage emerged of him punching and kicking a handcuffed man. Addressing a forum at the University of Chicago Law School on October 23, FBI Director James B. Comey spoke of rising crime rates in America. And he offered a series of possible reasons for it. “But I’ve also heard another explanation, in conversations all over the country. Nobody says it on the record, nobody says it in public, but police and elected officials are quietly saying it to themselves. And they’re saying it to me, and I’m going to say it to you…. Apparently, it’s OK for police to aim cameras–openly or concealed–at citizens, whether law-abiding or law-breaking. But if citizens aim cameras at cops–even without interfering with their making arrests–police feel threatened, to the point of refusing to carry out their duties. 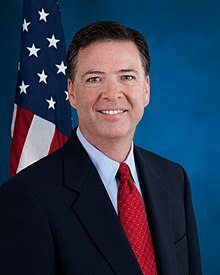 Addressing a forum at the University of Chicago Law School on October 23, Comey offered a series of possible reasons for the recent surge in crime rates in America. But according to the FBI, citizens who aim cameras at cops in public places present a clear and present danger. This holds true even if they don’t interfere with the ability of police to make arrests.